Donald Trump’s FDA and the ‘United States of Oxy’ – Run For Your Life! How will the pharmaceutical industry be impacted under the Trump administration? Who’s the new FDA Commissioner? How will e-cigarettes be effected? How will the opioid crisis be impacted? The US Food and Drug Administration (FDA) may be headed for a major overhaul under the Trump presidency and the agency’s new head, Scott Gottlieb. At a recent meeting with pharmaceutical industry leaders, President Trump asserted that “we’re going to be cutting regulations at a level that nobody’s ever seen before.” His most recent statements, made at a White House confab, echoed loudly throughout the medical and pharmaceutical industries. Just talk? It’s tough to say, yet supporters of pharmaceutical deregulation have long wanted to reduce bureaucracy and lessen oversight of drugs and devices. Critics, by contrast, contend the drugs market could be destabilized and public health undermined. The tricky task will be to strike the proper balance of speed and safety, as well product innovation and consumer protections. 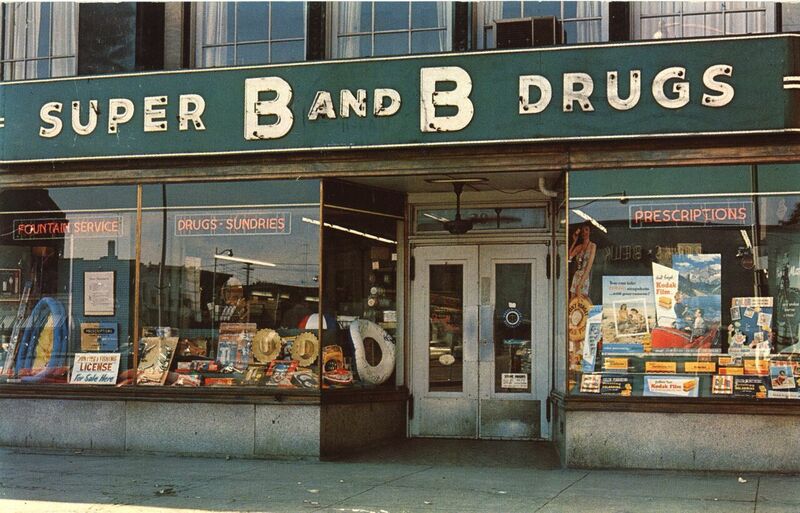 An American drugstore, circa 1963. Courtesy of Library of Congress. This rhetoric and attempted reforms at FDA are not new, but the devastating painkiller crisis certainly is. Gottlieb’s critics noted that he was too closely tied with the pharmaceutical industry to tackle the opioid epidemic. “We are suffering this public health epidemic because big pharma pushed pills they knew were dangerous and addictive, the FDA approved them, Senator Ed Markey (D-Mass) told reporters. The United States had been turned into the “United States of Oxy,” Markey added. The FDA approved OxyContin, a powerful opioid to treat severe pain, such as in the case of patients with terminal cancer. With mild pain, though, the FDA deemed the dangers of addiction too great, and has not allowed the marketing of Oxy for such pain. Not able to solve the opioid alone, the FDA nonetheless will play an important role. He has made this case quite forcefully. However, Gottlieb’s critics (mainly Democrats) have pointed to his past views on the regulation of opioids. In particular, he has suggested that policies restricting pharmacies and drug distributors might burden innocent patients. This will be one of the defining issues of his career. The Food and Drug Administration’s move in May, 2016 to crack down on e-cigarettes brought regulation in line with existing rules for cigarettes, smokeless tobacco and roll-your-own tobacco. This had been highly anticipated after the FDA issued a proposed rule over two years ago. “Millions of kids are being introduced to nicotine every year, a new generation hooked on a highly addictive chemical,” U.S. Secretary of Health and Human Services Sylvia Burwell stated during the announcement of the new rules. She asserted, too, that health officials still didn’t have the scientific evidence showing e-cigarettes can help smokers quit, as the industry asserts, and avoid the known ills of tobacco. The Trump administration recently approved a delay in the FDA’s e-cigs guidelines. It was a decision that divided officials in the public health establishment. And it’s undoubtedly true that several Trump administration officials, including FDA chief Gottlieb, have connections to the e-cig and tobacco industry. From March 2015 to May 2016, according to Bloomberg, Gottlieb was a director of Kure Corp., a Charlotte, North Carolina-based firm that distributes e-juices and vaping pens in coffeehouse-style lounges known as vaporiums. Of course, he had a financial interest in the company as of March, according to financial and ethics disclosures, and promised to sell his stake if confirmed as head of the FDA. “How to regulate e-cigarettes is one of the most critical questions on tobacco regulation that the FDA is going to be facing in the coming years,’’ said Vince Willmore, a spokesman for Washington-based Campaign for Tobacco-Free Kids. Vaping will also be a significant issue for Gottlieb and the FDA. Getting the regulation right matters – not just in the U.S., but places like Glasgow and Vancouver. Do We Regulate E-Cigs, Ban Them, or What? The writer Matthew Herper suggested recently how “talk of speeding up [drug] approvals for serious diseases first gained traction in the early 2000s.” Actually, the trend extends much further back. Debate about quickening drug approvals has a complex and compelling history. The FDA under President Ronald Reagan, for instance, offers a useful tool to evaluate the Trump administration’s approach to the FDA and the drug industry. In mid-January, as Mr. Trump awaited his inauguration and the transition team worked furiously to establish his cabinet and select suitable agency nominees, the FDA generated serious debate. Trump met with Jim O’Neill, a venture capitalist, and a close friend of PayPal’s Peter Thiel. He met with Balaji Srinivasan, a cofounder of genetics testing firm Counsyl. Both men subscribed to the idea – now conservative doctrine, according to Forbes – that the FDA prevented a flood of new drugs from hitting the market. Neither held an M.D., which has been for years a prerequisite for the FDA’s top job. Yet, by 20 January the frontrunner for the Commissioner’s job was Gottlieb, who had made it known publicly he believed the FDA should trim bureaucratic red tape and approve drugs in a speedier fashion. Trump ultimately settled on Gottlieb, whose selection was welcomed by the pharmaceuticals sector. His ties to industry were questioned by Democrats, but the vote wasn’t close. 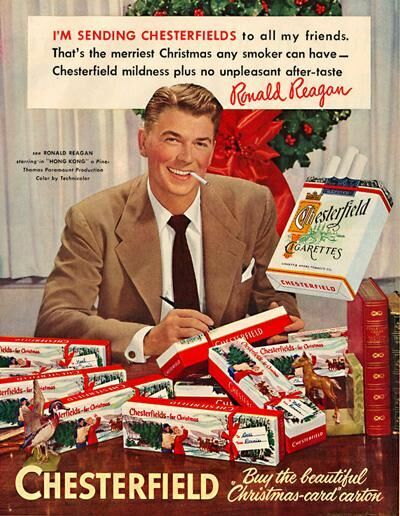 Ronald Reagan, whether as a candidate or later President of the United States, did not desire the dismantling of the FDA, but neither did he trust it. In his optimistic view, its authority, like that of many other regulatory agencies, simply needed curtailing. In 1980, the Republican presidential ticket of Ronald Reagan and George Bush promised to change Washington. President Jimmy Carter represented failure, Republicans argued, be it botched rescue attempts and helicopter crashes in the desert, the loss of the Panama Canal, or an impotent economy. 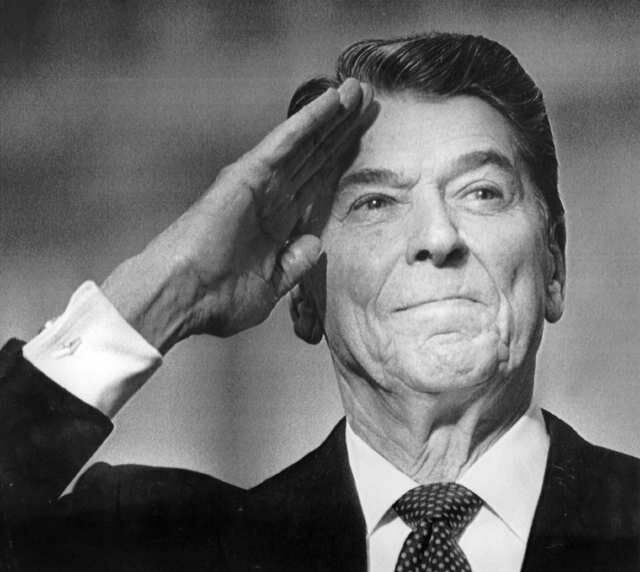 The jaunty and upbeat Reagan succeeded in shifting the policy discourse about the size and scope of federal government programs; harkening back to halcyon days, he moved the conversation about which government program to launch (or expand) to how much of a program’s or agency’s budget ought to be cut. 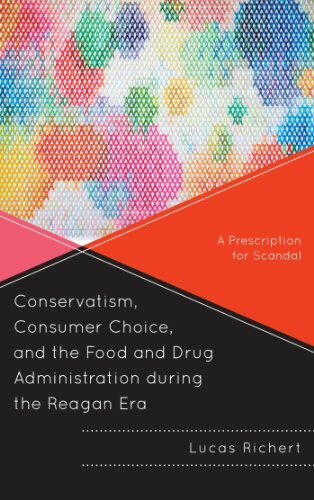 In 1981, the debate about drug regulation continued to polarize people; finding a middle ground was often difficult, and as the new administration took power, the outgoing FDA Commissioner Goyan articulated a consensus-oriented, centrist approach to drug regulation. Think tanks such as the Heritage Foundation and American Enterprise Institute promulgated changes to the FDA’s mission as a means of unleashing the once-mighty American pharmaceutical industry. This would fuel the U.S. industry and the greater economy. 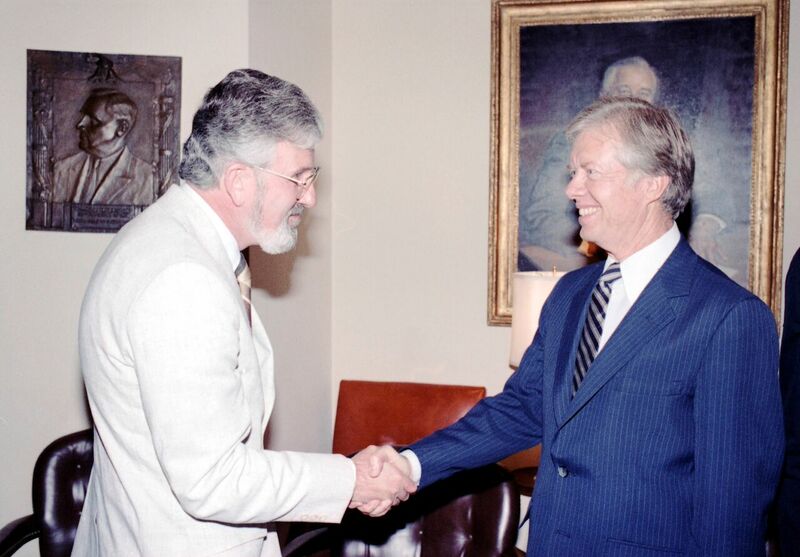 Jere Goyan and President Jimmy Carter. Courtesy of Library of Congress. Apparently, the Washington cocktail circuit was rife with speculation about the new administration repealing the Kefauver-Harris 1962 drug efficacy requirements – a move that would further enhance prospects for industry growth. This was nonsense, according to knowledgeable policymakers and reporters. Still, the fact that the notion was even bandied about, however fancifully, represented a substantial change in the debate about drug regulation. The press envisaged a pharmaceutical industry boom in the near future. Newspapers reported how “The Drug Business Sees a Golden Era Ahead” and that pharmaceutical associations were positively giddy. Rep. James Scheuer (D-NY) publicly denounced the agency’s over-cautiousness and emphasized the need for immediate reform. It was risk averse, to the detriment of sick Americans. Moxalactum, he argued, was an American-made antibiotic for pneumonia used by Marshal Tito in Yugoslavia – yet it was not available in the United States. The narrative Scheuer framed was that the FDA was protecting Americans to death – and this before the onset of the HIV/AIDS crisis. Mounting enthusiasm about pharmaceutical growth in the wake of the Reagan election was palpable. Reports indicated that the pharmaceutical industry and investors were confident about the future – a golden era – in this new regulatory climate. There was bullishness about drug stocks in general, and many predictions that pharmaceutical companies would start to generate more and more earning in 1981 and 1982. Overall, these stories proved to be accurate. Under the Trump administration, will the FDA play the villain role? President Trump will build on earlier Republican efforts to streamline the agency, whether these took place during Reagan or Bush presidencies. He has promised to remove barriers for overseas drugs and support ‘Right to Try’ laws, which will attempt to provide access to unapproved drugs. Indeed, some of these measures may help patients. And the Trump administration will be the right track if it can safely accelerate drug approvals, promote production and use of generics, and lower drug prices through increased competition. Gottlieb and others have suggested they would radically restructure the drug approval process – even if that remains something of a red herring argument. QuintilesIMS Institute, among various other organizations, have determined that the total time between patent and approval has dropped 31% since 2008. Yale researchers hold that the FDA is already considerably faster than Europe and Canada when it comes to approving drugs. Another area of regulation that ought to be monitored closely is advertising. Every other nation besides the US and New Zealand has concluded that advertising powerful drugs for treating complex illnesses makes no sense when your target market lacks the qualifications to fully grasp the risks. How will powerful painkillers be regulated in the years ahead. The drug industry wants to empower patients, to invest them in the writing of prescriptions. Looking ahead, it will be important to watch the administration’s and FDA’s role in faciliating this. “The [industry] idea is that consumers are central players in their health management and therefore have a right to be informed of different drugs,” Lewis Grossman, a specialist in food and drug law, told the Los Angeles Times. Yet, the practice of medicine should not be placed in the hands of amateurs and junk scientists. In the post-truth era, however, when an opioid epidemic soars and drug prices are hitting Americans in the pocketbooks, these “facts” could be lost in the noise. Thanks for reading. For more, please follow the blog. Lucas Richert is a Lecturer in History at the University of Strathclyde (Glasgow, UK). He is the author of Conservatism, Consumer Choice, and the Food and Drug Administration during the Reagan Era. He’s currently at work on a second book, tentatively called Strange Medicines: Drugs, Science, and Big Pharma in Culture.